'Heat Dome' Causing Excessive Temperatures In Much Of U.S. : The Two-Way It's over 100 degrees Fahrenheit in much of the Midwest, South and East, and the culprit is hot air trapped under an atmospheric pressure lid that heats it up even further. 'Heat Dome' Causing Excessive Temperatures In Much Of U.S. Lightning streaks across the sky over Port Washington, Wis., on Thursday. A phenomenon called a "heat dome" is causing temperatures well above 100 degrees, according to the National Weather Service. It's really hot in most of the mainland United States right now. The National Weather Service predicts temperatures in the triple digits through the weekend in much of the South, Midwest and along the East Coast. The culprit: a "heat dome." "A heat dome occurs when high pressure in the upper atmosphere acts as a lid, preventing hot air from escaping. The air is forced to sink back to the surface, warming even further on the way. This phenomenon will result in dangerously hot temperatures that will envelop the nation throughout the week." Forecasters are predicting extreme heat and a high pressure ridge to create a "heat dome" across a large section of the United States. The National Weather Service has issued excessive-heat warnings and heat advisories for much of the central U.S., including the Plains, Mississippi Valley and the South, and warns that the heat wave will move east over the weekend, enveloping the Mid-Atlantic. Last year was the hottest year ever globally — or it was until 2016 got off to a sweltering start. 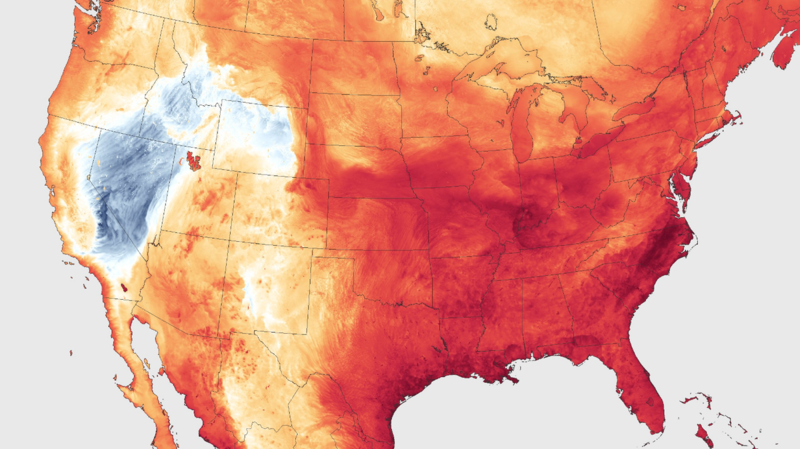 NASA announced this week that the first six months of this year have been the hottest since 1880, which is when people started keeping reliable records, NPR's Christopher Joyce reports. "Let's look at June. Scientists took temperatures from around the world and got a June average. What they found was a world that was 1.62 degrees Fahrenheit hotter than the average June in the 20th century. How about January? Hottest ever. Same with February, March, April and May. Every month in 2016 has been warmer than ever, at least since people started keeping reliable records — that was 1880. "How much warmer is 2016 so far? Overall, this year has been almost 2 degrees warmer than what people experienced in the 20th century." When the weather gets excessively hot, it can be deadly. 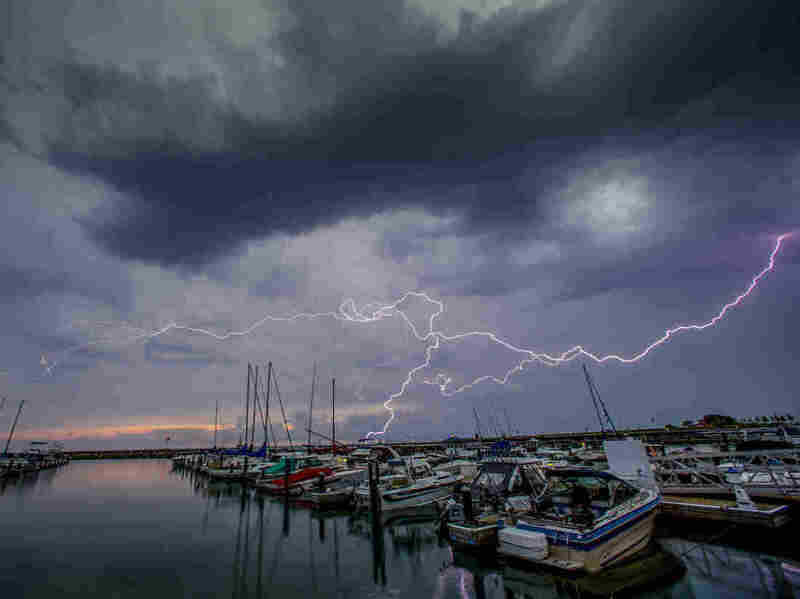 The National Weather Service recommends that people take precautions such as staying indoors in air-conditioned spaces, drinking enough water, wearing lightweight clothing, and eating "light, cool, easy-to-digest foods such as fruit or salads."